Doggos and puppers are great, so we made another video to tell you about them. Learn about doggo tongues, best frens, and moar pupper activities. If you are looking for the full diagram, here it is. Go give ur friends a h*ckin educate. 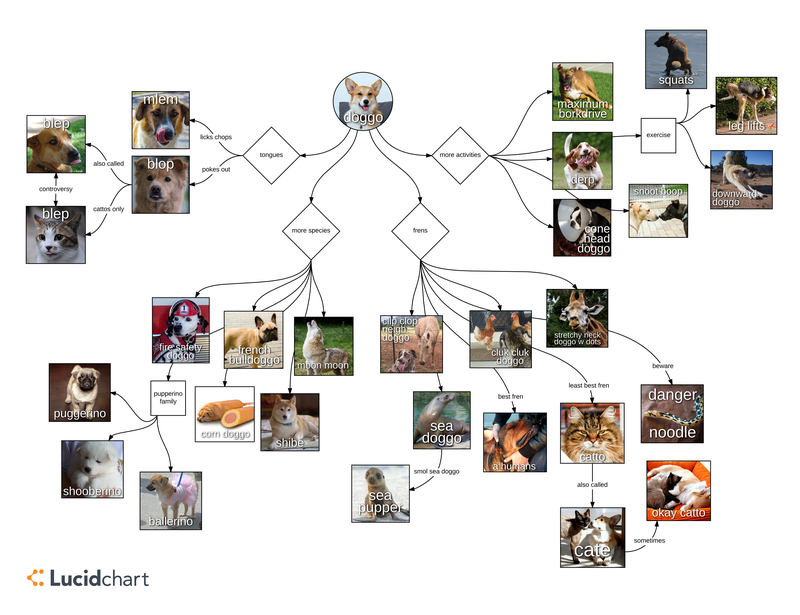 Visualize your doggos (and anything else) with Lucidchart. P.S. If you missed our last doggo video, check it out!